They are provided to show you what kind of drawings are produced with the program! This is a Drawing of a "Single railing". 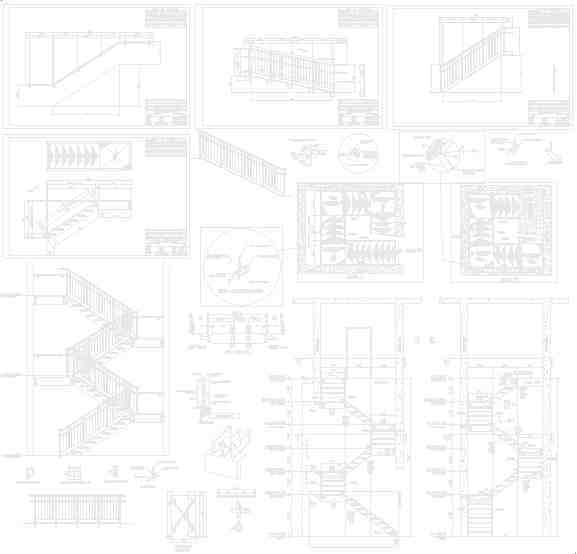 This is a Drawing of a "Multi-Single railing". This is a Drawing of a "Auto-Mode layout". This is a Drawing of a "Section". This is a Drawing of a "B.O.M". 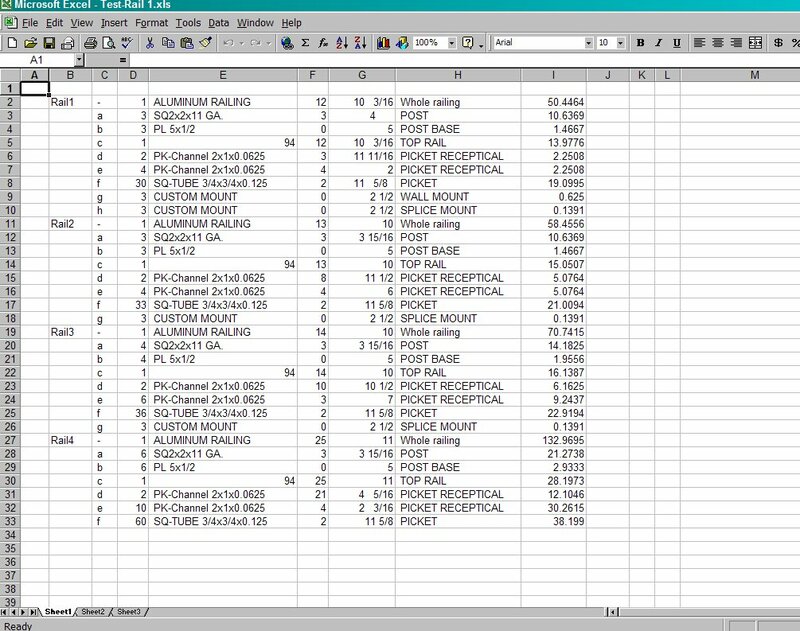 This is a Sample of an "Excel BOM".